- Mechlab changes: added the advanced criticals section for those items that could not get added automatically to certain mech parts. - Animation blending, mostly visible while the mech walks-runs. - Minimal graphics settings available for users with lower-end machines. - Improved input settings: multiple joystick support. - Changes on the interface design: the menus now use pixel-relative scales according to how big your screen is, much like the way websites work. - New mechs: Firemoth and Shadowcat. - Instant action menu now autofills your newly created starmates with random mechs in order to make the "action" more "instant". - New keymapping commands have been added to the game but wont appear if you keep your old input.at1 file; in order to restore the default keyboard and joystick input and thus gain access to the new keystrokes (such as radar display mode) delete input.at1 file on your game directory after patch installation and let AT1 restore it on the next launch. - Keyboard torso twist feature. - AT1 torso twist style (torso twists when mouse reaches near the edge of the screen) and ability to change between this and the old one. - HUD color customization: no more forced green and yellow. - New cockpit artwork for a few mechs other than the MadDog. We will be adding the rest in as updates come. - Legging; get ready to bite on dirt. Still experimental and only three mechs (MadDog, Timberwolf and Stormcrow) feature the animations for it. Other mechs will suffer from legging too, but will feature a normal and slower walk animation. This also means leg actuator damage does manifest in this version. - Keymaps now properly use combined strokes without having conflics. EG you can use Ctrl+Z and Z alone for different functions. - MASC allocation bug on the empty varians has been taken care of. - AI behaviors corrected for their close range combat. - Clan LRM missiles now have a reduced flying arch, the closer their target is. - Critical hits now are based on 2D6 rolls (and damage amount on the part where the critical resides) to mimic the board game rules. - No more "unassigned criticals" bug. See above in "Improvements" for details. - Mechlab memory use has been decreased by unloading mech visuals not on display; this however causes a bit of a pause each time a mech is fetched from the mech list. You can choose to either download our update via MTX Client or Use the MTX Extract and Patch Utility. The MTX Client should always be simpler to obtain the latest update! MTX File Extract and Patch Utility. Provides an easy patching mechanism. You may download all the of the following patches via your favorite torrent client (such as utorrent). Please continue seeding these files when not playing your game. These files will update any existing installation of AT1. Select the file that will update your current version, or use the FULL Install (version 2.3.0.10313). After downloading the .mtx files from these torrents, you can use the MTX Extract and Patch Utility to create the AT1:BT game installation. 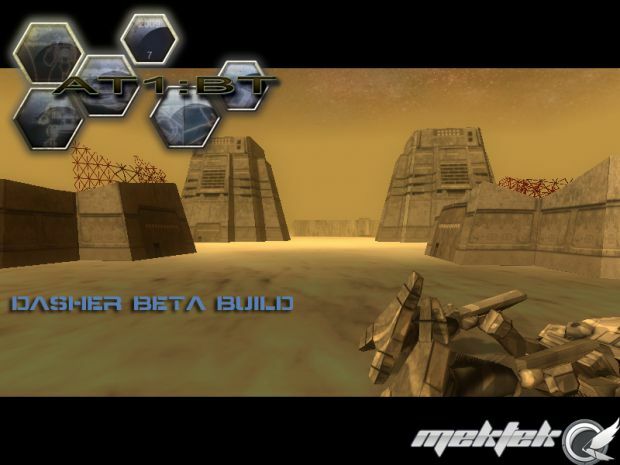 Celebrating our 10 year anniversary MekTek.net is pleased to announce the immediate community release of AssaultTech1: BattleTech version 2.3.0. Announcing Spring Invasion Event 2009! MekTek is seeking applications of people interested in joining our beta testing program for Assault Tech1: BattleTech. The death of this game is not because MekTek wanted to drop it (hell I think they'd want to be working on it to this moment), but actually because of the fact that... *sigh* PGI, the current copyright holders of Mechwarrior decided they hated MT, and C&D'd MT to drop anything MW. Now, they've gone to a new IP: Heavy Gear. Unfortunately, very recently, they've done something.. odd. They shut down their forums, because, god knows why. Good god, I don't think they've even gotten new ones up yet, VERY depressingly. On the plus side.. they have Heavy Gear Assault, which, from what I've seen, is Mechwarrior all over again. Specifically, what happens when MW3 goes faster and goes to Solaris 7. It looks.. awesome. And has big shooty robots that we all love. If PGI dies out (which is virtually inevitable at this rate), then, expect MT to race to the rights again, and re-welcome their fans. If you NEEEEEED a Mechwarrior, then, get Crysis wars, figure out how to make it not need gamespy, and get Mechwarrior Living Legends. It's an online MW that was also C&D'd, but still has a community that really fights sometimes. Oh, how I remember mucking about in that.. I need to get Wars again soon. If you're right, then I've been hating them for nothing for a very long time. As SOON as MekTek got their hands on AT1, it went down. I was there before they got their hands on it, and after. It was down within a couple months. It seemed at the time, to me at least, that they dropped it because Microsoft gave them MW4 (essentially). When did they get the C&D order? And from who? now how am i supposed to start this??? EDIT: oh, just found out i guess, sorry. So has this been abandoned in favor of the kickstarter project? Anyone know how to play this mod offline? I really want to try it out. Been a huge MW2 fan ever since I was young. A pity. It could've been several kinds of awesome. This is a game, not a mod, just so everyone knows. It's got nothing to do with Mechwarrior 4 directly.